WASHINGTON, D.C. -- Despite progress in recent decades, motor vehicle crashes are still the leading cause of death of teens in the U.S. In 2013, nearly 4,000 drivers 15 to 20 years old were involved in fatal crashes(1). And a strong economy means more disposable income that puts more teens at risk on the road - often in older cars without the latest safety features. Preliminary 2015 data(2) suggest that overall traffic fatalities are on the rise. Many states already have strong teen driver licensing laws and programs promoting parent involvement, both essential for addressing teen crash risk. But achieving further reductions in novice driver crashes, injuries and fatalities will require enlisting the help of other adults who have the opportunity and capacity to positively influence teens. National Teen Driver Safety Week, October 18-24, presents the perfect opportunity to examine how to engage these "non-traditional" adult influencers. A new report from the Governors Highway Safety Association, Under Their Influence: The New Teen Safe Driving Champions, provides fresh insight and examples of how states can partner with these other adults. The report was funded through a grant from the Ford Motor Company Fund, researched and written by national teen driving expert Pam Fischer, and guided by a panel of teen safe driving experts. While parents are still the number one influence on their novice drivers, teens spend much of their day with other adults. Teens 15 to 17 years of age spend on average five hours a day in school plus additional time engaging in other activities such as working or playing sports(3). The adults that teens interact with during this time - teachers, employers, coaches, etc. - can all help guide teens to make smart and safe driving choices. "While parents are key," said Jonathan Adkins, GHSA Executive Director, "teens may not have strong -- or any -- parental involvement, and nearly all teens spend a great deal of time around other adults. These role models have a tremendous opportunity to help educate teens and inspire them to make safe choices behind the wheel." Jim Graham, Community Relations Manager for the Ford Motor Company Fund's Driving Skills for Life program, which has positively influenced 150,000 teen drivers in all 50 states through free ride and drive educational events, notes that, "The end goal of our program is to keep teens safe on the road, and we all can play a part in that. Ford Driving Skills for Life already partners with trauma doctors, media organizations and schools, but this report provides some great ideas and examples for us and for states to further activate the community to support safe teen driving by reaching teens where they spend their time." Coaches: The New Jersey Teen Safe Driving Coalition and the New Jersey State Interscholastic Athletic Association developed the GDL Game Plan to help athletic directors and coaches educate student-athletes about graduated driver licensing. The first of its kind in the nation, the plan explains how GDL reduces teen crash risk and includes a checklist for engaging teens, parents and fans, as well as suggested language for a student-athlete code of conduct. It is now used in nine other states and serves as a model for encouraging coaches to be leaders in teen driving safety. Teachers: 4-H, the nation's largest youth-based organization sponsors National Youth Science Day (NYSD) each October to promote careers in math and science. The 2015 NYSD kit, Motion Commotion, empowers middle and high school teachers to help their students explore the physics of motion and understand the dangers of distracted driving through a two-part experiment. Activity Directors: The Washington Traffic Safety Commission is using a private sector grant to incentivize high school activity directors, club leaders and other advisors to promote teen/parent conversations about marijuana and the dangers of drugged driving. Advisors who organize and execute the task of getting at least 30 parents and their 30 teens to have an educated conversation receive a $300 stipend for their school. Professional Drivers: The UPS Road Code program, a partnership between the UPS Foundation and Boys & Girls Clubs of America, has reached more than 20,000 teens. It includes classroom instruction, games, videos, and a virtual driving simulation taught by UPS employee volunteers, many with more than 25 years of safe driving experience. The program also encourages them to spread the message with their peers and families. Doctors: The Pediatric Trauma Injury Prevention Program at Monroe Carrell Jr. Children's Hospital at Vanderbilt (Tennessee) sponsors a year-long, school-based distracted driving campaign. The Be in the Zone program educates teen leaders and invites them to conduct their own activities such as community events and the creation of a Public Service Announcement, to compete for prizes. The new report and graphics are available for download at www.ghsa.org. GHSA will hold a webinar to discuss it on October 21 at 2:00 p.m. EDT. Register at https://attendee.gotowebinar.com/register/1273281014174081026. 3 Price, J., Hunt, B., Wight, V., & Bianci, S. (2009). The time use of teenagers. Cornell University, Ithaca, NY. University of Maryland, College Park, MD. The Governors Highway Safety Association (GHSA) is a nonprofit association representing the highway safety offices of states, territories, the District of Columbia and Puerto Rico. 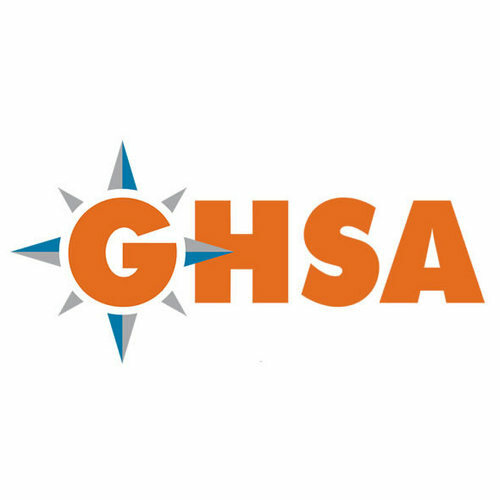 GHSA provides leadership and representation for the states and territories to improve traffic safety, influence national policy, enhance program management and promote best practices. Its members are appointed by their Governors to administer federal and state highway safety funds and implement state highway safety plans. Contact GHSA at 202-789-0942 or visit www.ghsa.org. Find us on Facebook at www.facebook.com/GHSAhq. Follow us on Twitter at @GHSAHQ. Ford Driving Skills for Life was established in 2003 by Ford Motor Company Fund, the Governors Highway Safety Association, and a panel of safety experts to teach newly licensed teens and parents the necessary skills for safe driving beyond what they learn in standard driver education programs. The basic premise behind Ford Driving Skills for Life is to provide a step in the learning process, providing new skills and information not currently shared with newly licensed drivers in the basic driver education courses. The program is offered in 30 countries and a hands-on driving clinic has been conducted in all 50 U.S. states, Puerto Rico and the District of Columbia. For more information visit www.drivingskillsforlife.com.